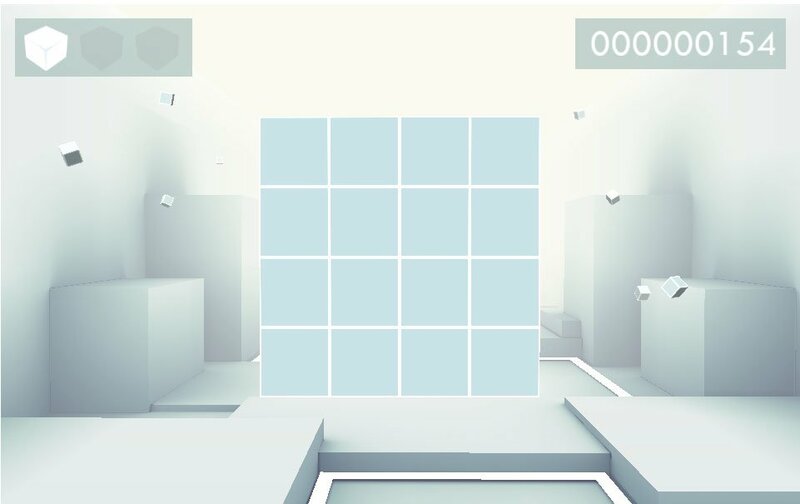 The Cube was a prototype of one in a suite of minigames intended for a brain training game. It is a memory game in 3D, which had an interesting potential for increasing difficulty by rotating, confusing the player, etc. It was developed in two weeks by two programmers (one for gameplay, and me at the technological side), a designer and an artist using Unity, as an experiment for the studio to use new tools. The shading of the cubes underwent several changes (like normal maps for bevels), but in the end we settled with a very minimalistic style, and wrote a very simple shader for the cubes (using an emissive mask for the cube outline, instead of a potentially more complex back-facing approach). We also experimented with Unity’s built-in Beast lightmapper for the environment, although in the end we baked everything in Blender and imported as a texture. 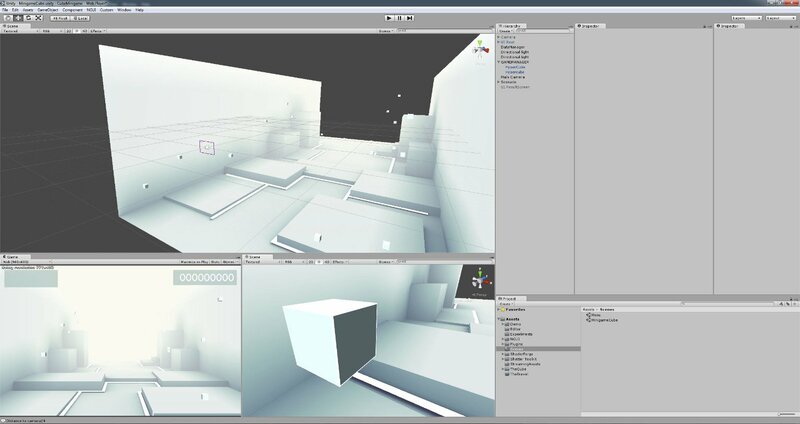 Gameplay-wise, the prototype has two modes, infinity and training (or routine). We developed a very simple CSV parser so the designer could tweak the values using Excel without a programmer’s intervention, and the parsing was simple enough to do in a very limited amount of time. Training mode makes you go through twelve exercises, and internally increases your level so next time you play you start off at your maximum level (minus a couple, so the re-adaptation isn’t too steep). 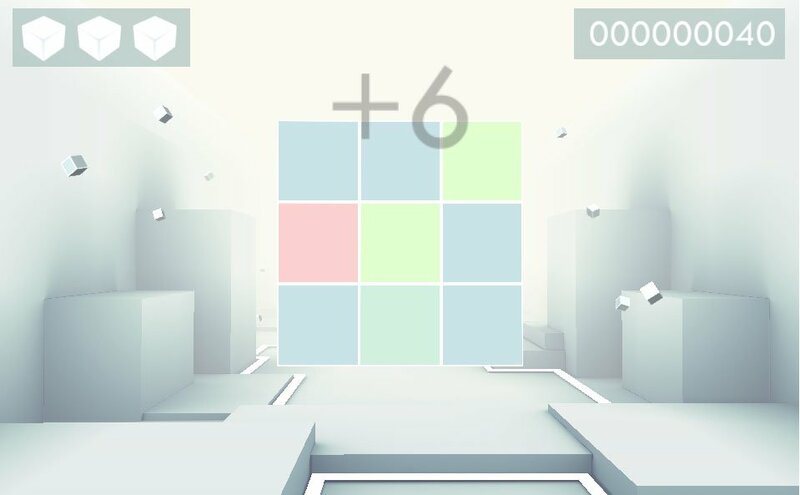 In Infinity mode we included a simple scoring system, so you could (potentially) challenge friends. The mistake system was also adapted since it became frustrating at higher levels. One mistake takes you to the same difficulty, two mistakes goes back one level, and three or more gets you back two levels. However, correctly memorized cubes still count towards the score.